Alpine Property Investments specialises in the marketing of both ski and lakeside properties in the French and Swiss Alps and Canada. 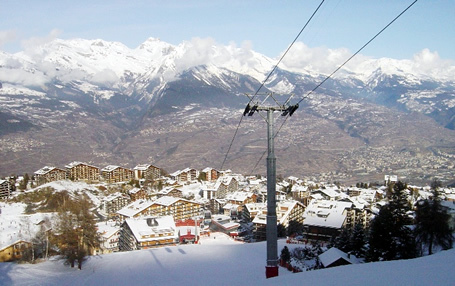 The company was created in 2005, following our purchase of a property in the 4 Valleys region of Switzerland. We set up the company, because we felt that buyers would appreciate first hand experience and advice, when taking the big step in deciding to invest in a property overseas. Over the last few years, we have grown from a small UK based company, to now having offices and experienced English speaking representatives, in France, Switzerland and Canada. All offer expert knowledge of the different ski resorts in their particular region, ready to help you purchase your ideal property. We have carefully chosen the partners, developers and constructors that we work with , based on their professionalism, approach to customer service, excellent quality of build/finish as well as styles and techniques that they use. You pay nothing for our expert, personal advice and assistance. We take the time to understand what you are looking for and personalise the search, based solely on your requirements. If you were to go to the constructors and developers we work with directly, you would pay the same price as we advertise. This means no middlemen driving prices up, however someone who can offer you the advice and information you are looking for. In addition to our huge portfolio of properties for sale in France, Switzerland and Canada, we can assist you with the best resorts for you to buy in, your travel plans, recommend you a hotel, as well as other services, such as legal and tax advice, translation services, mortgages, currency transfers and everything you might need to make your property search and acquisition as simple as possible.